The owner of the great barn at Hall farm in Hemsby also took me into the smaller, later barn at Home Farm. 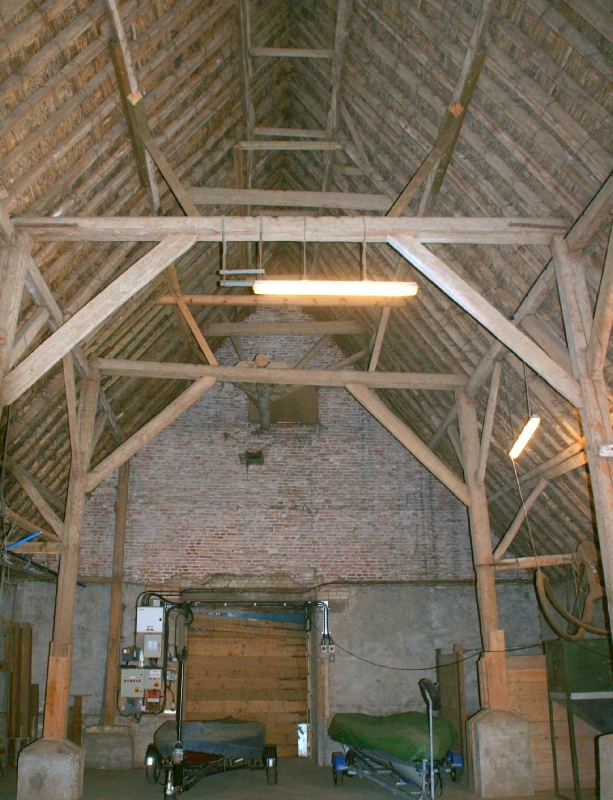 This is another brick, timber-framed, aisled barn with a thatched roof. It was built in the early seventeenth century. It is in excellent condition having been continuously maintained and repaired by three generations ODF farmers. Unlike the great barn at Hall Farm, this is built entirely from softwood, possible Baltic Pine which started to be imported in large quantities at the time of its construction.